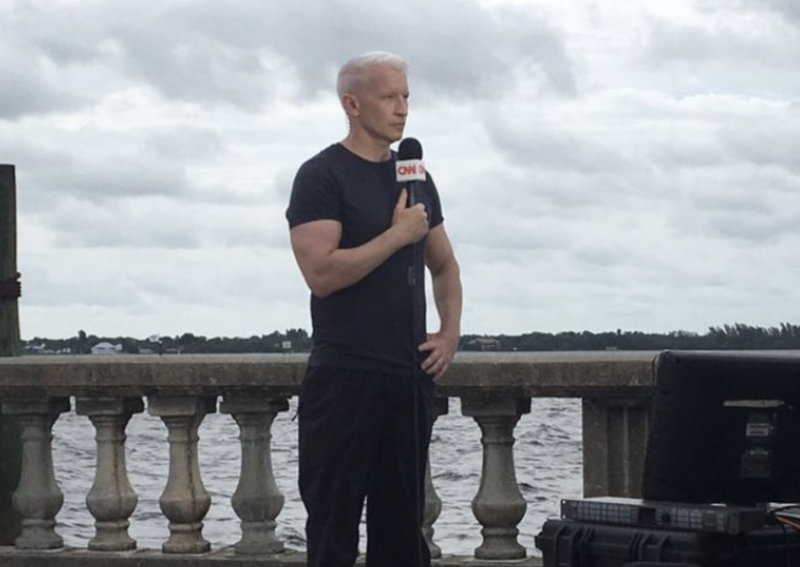 Oh Anderson Cooper…”yeah, I work out at the gym” press photos? Really?! Put those muscles to work helping people! I wasn’t directly affected by this storm, and for that I am grateful, of course. But I have watched from the sidelines as friends weathered the actual storm then faced the loss of homes and livelihoods and very uncertain futures. All I could do is offer support and positive thoughts during the dark times. And occasionally humor, because in the end…humor is the way I deal with loss. One needs to go with what they’re good at. But it still doesn’t feel like quite the right time to return to making fun of island life. Soon. But not quite yet. For the moment, I just want to reflect on the fragile nature of our existence on this planet. And I don’t just mean life on Caribbean rocks. We can curate a life that we love almost anywhere (but not everywhere, as I once found out first-hand…another – funnier – blog for another day). And we can let ourselves believe that such a life, rich with joy, experiences and contentment, will be infinite. And why not let ourselves believe that? It fills us with hope and warmth and love. All very good things. But then, anywhere, anytime Mother Nature can unleash her bitchy side and show us who is really the boss on this planet. And it isn’t us. By a long shot. We just like to believe we are. Human nature being what it is. But whether it’s a hurricane, tornado, earthquake, fire or any other natural disaster, we learn (or are reminded of) something very fast. The line between a tranquil, idyllic existence and tragedy is fine. Very fine, indeed. But to keep things positive (because negative never gets anyone very far in life), indulge me with a few observations about what I’ve learned/been reminded of myself in the past seven days…(and then head over to Drinking the Whole Bottle for Jen’s wise advice on why we should all be hummingbirds, especially during disasters). People are far, far stronger than even they believe. I’ve watched as friends far from harm’s way – yet facing devastating losses themselves – basically put their lives on hold to spend their days and nights immediately following the storm facilitating communication and arranging aid to these ravaged rocks. (You all know who you are, and I hope you’re finally getting some sleep. 💙) I’ve read of people in Puerto Rico and St. Croix and other places rising up and delivering aid to their neighboring islands long before the military arrived. I’ve seen images and videos of people emerging from the devastation all around them to help survivors, salvage what they can and begin to move forward, one tiny step at a time. People, for the most part (excluding the looters and their ilk…whom karma will visit eventually), are generous and kind. Especially those on other islands. I’ve seen people rally their limited resources to deliver supplies and financial aid to those in immediate need. These people are assuredly foregoing their own extras to ensure that their fellow rock dwellers (in most cases, complete strangers) will have water, food and medicine in the coming days and weeks. People have surprising reserves of resilience and tenacity. I’m seeing the tenor of social media posts change from abject devastation to stubborn determination. They will return. They will rebuild. They will reclaim a new version of the lives they led before all the bad stuff happened. And along the way, this strength will also help lift up the people who weathered the eye of the storm – the people who have called these islands home for generations. Because, in the end, a love for the islands binds us all together. And only together will places like the impacted Caribbean islands eventually be restored to a beautiful, new version of their former selves. But the islands cannot do it alone. Liberally adapting a sentiment from Hillary Clinton, if it takes a village to raise a child, it will take the world to raise these island from devastation. You can help. No matter how small the contribution. Thankfully, there are many ways to help. From cash donations to supplies to offering your special skills on the ground (I’ve seen calls for doctors, nurses and technology experts already). My friend Chrissann (who calls the British Virgin Islands home) of the island-inspired website Women Who Live on Rocks has put together this amazing list of ways to assist. For all the affected islands. Because this isn’t just about one rock or another. It is about all of us. Together. The islands we all love – whether as residents, visitors or admirers from afar – will return to their former glory. It will take time, but paradise is not lost…we just need to be patient and persistent. And help where we can.